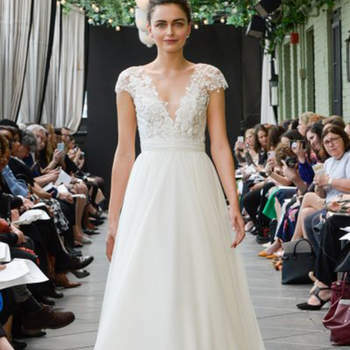 Knowing how to choose the perfect wedding dress for your big day is getting easier and easier. 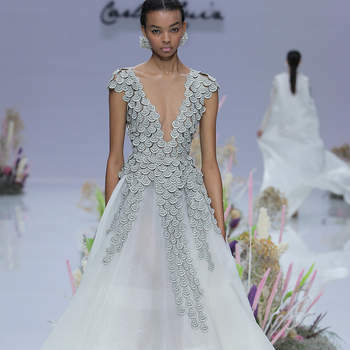 International designers and well-known companies from around the world are now joined by new brands and young designers who bring freshness and a modern touch. 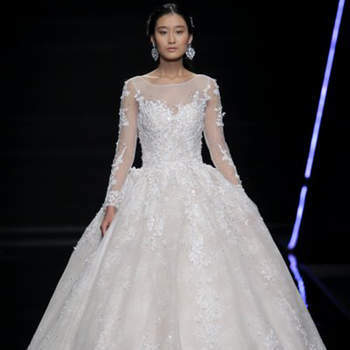 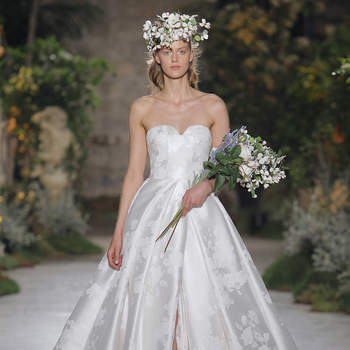 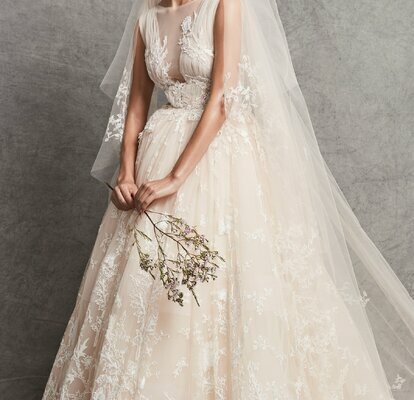 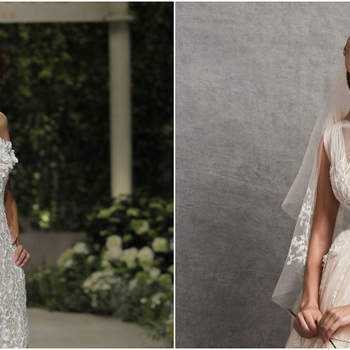 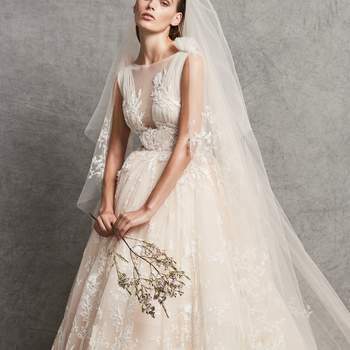 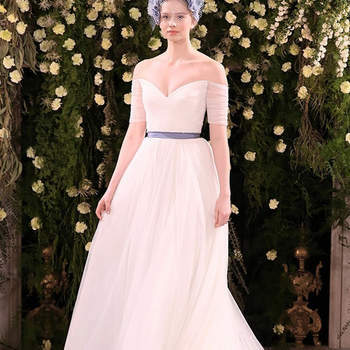 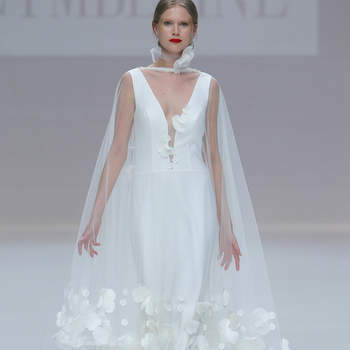 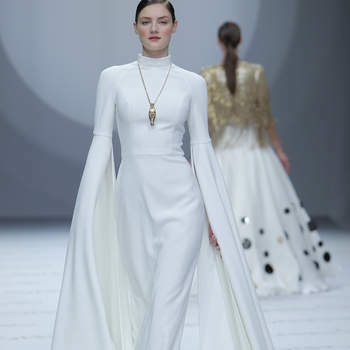 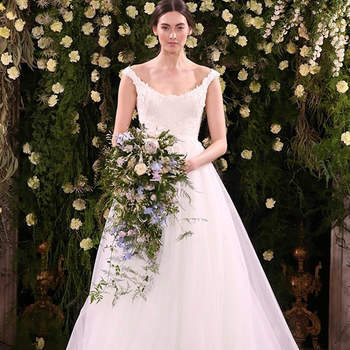 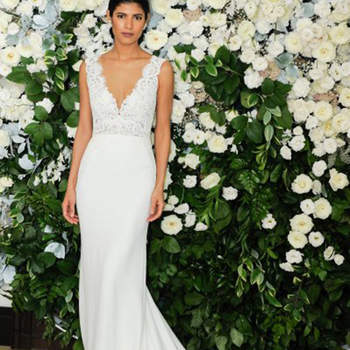 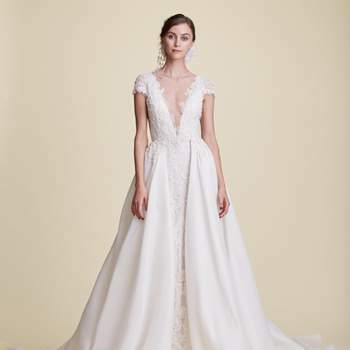 So, if you are one of the lucky ones who’s getting married next year, and you’re yet to find your wedding dress, have a look at the designs in this gallery, all of which incorporate the latest trends, both in bridal wear as well as high fashion. 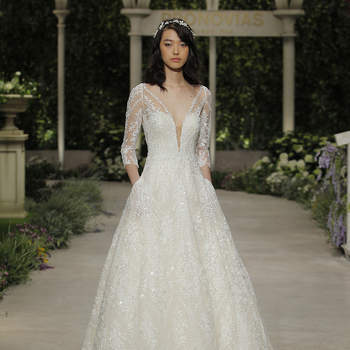 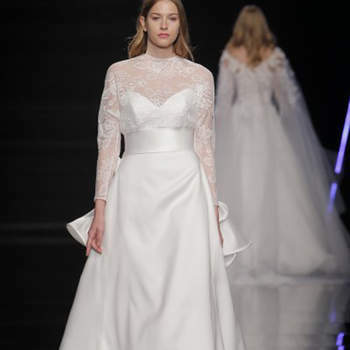 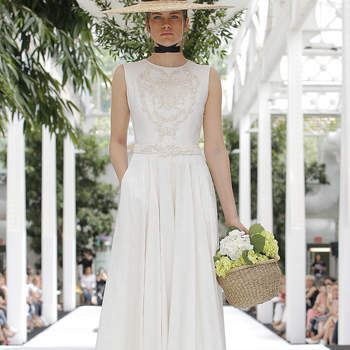 Among the trends that we can see for the new season, lace wedding dresses are still booming. 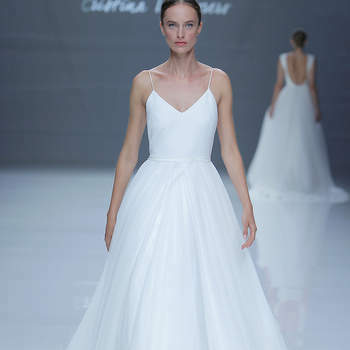 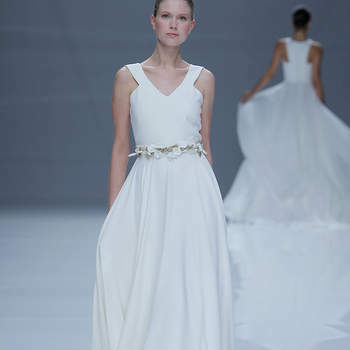 From the finest chantilly, through to guipure, combined with other fabrics such as crepes, organza and tulle. 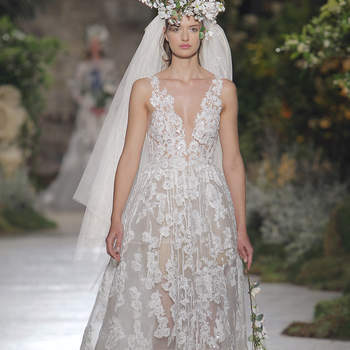 These are joined by spectacular floral embroideries, ruffles, belts, laces, jackets, capes and many other details. 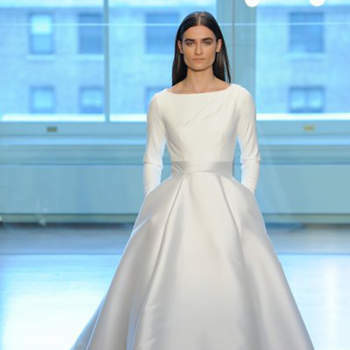 If we had to highlight a predominant cut in most collections, it would be reinvented A-line wedding dresses with peplum details and marked waists. 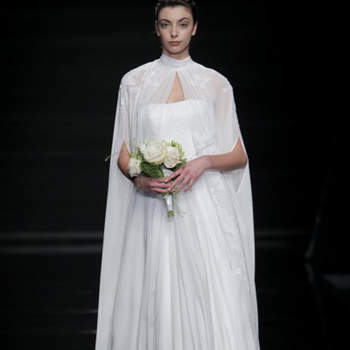 In short, there is something for every bride. 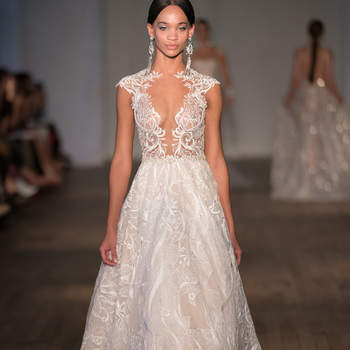 Take a look through the gallery a find the perfect look!